George Fowler of Frankfort’s Capital City Beekeepers (CCB) is the Kentucky State Beekeepers Association (KSBA) legislative agent for the 2018 lawmaking session in progress. One of his first actions will be to work with Kentucky Farm Bureau (KFB) to include KSBA items in baskets KFB will present legislators on March 7, “Food Check-Out Day” at the Capitol. 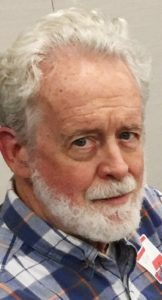 George graduated from St. Meinrad (Indiana) College in 1969, and served six years in the U.S. Navy, as a nuclear reactor operator and a supply officer. Then after graduating from the University of Kentucky’s College of Law, George joined the staff of the Kentucky Court of Appeals, rising to chief staff attorney. He also served as clerk of the court for four years. 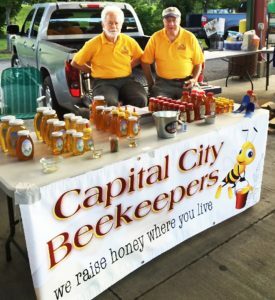 Retiring from law in 2007, George took up beekeeping and joined CCB. No current pending legislation directly affecting bees and beekeeping is up for consideration yet in this session, but George will nevertheless stay visible near elected representatives in the state government halls to represent the viewpoints of Kentucky beekeepers. Thank you, George, for your work!